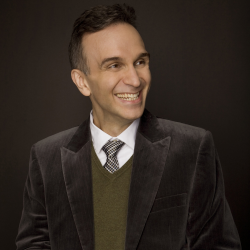 The Oshman Family JCC presents Gil Shaham, one of today’s preeminent violinists (The New York Times), and renowned pianist Akira Eguchi for an evening of magnificent music. Grammy Award-winning Shaham’s flawless technique combined with his inimitable warmth and generosity of spirit have solidified his renown as an American music master and won him the title of Musical America’s “Instrumentalist of the Year.” Highly acclaimed pianist Eguchi has been featured in numerous tours around the world, visiting the United States, Europe, China, and countless other countries, performing recitals and concerts with many of those countries’ premiere ensembles. The duo will treat audience members to pieces from Johann Sebastian Bach, César Franck, Fritz Kreisler, and more in a night of extraordinary compositions performed by two of the world’s leading classical musicians. Tickets and more information available at https://paloaltojcc.org/shaham or by calling (650) 223-8649.